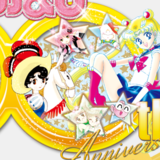 With the January 2015 issue of Nakayoshi about to be released on December 1st, the shoujo manga magazine has debuted a teaser logo for its 60th anniversary celebrations, featuring Osamu Tezuka's pioneering Princess Knight, Naoko Takeuchi's Sailor Moon, CLAMP's Cardcaptor Sakura, and more. Get a look after the jump. 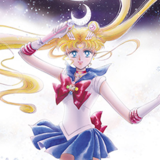 The October issue of Kodansha's monthly manga anthology Nakayoshi, which was published in Japan on today September 3, revealed two new illustrations by Naoko Takeuchi for the covers of the perfect edition of Sailor Moon manga series. Check the beautiful arts after the jump.